As a board, we are always looking for ways to provide our members with real benefits to their membership in the Santa Maria Women’s Network. 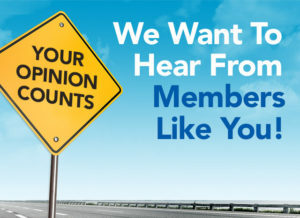 But, we don’t want to just sit around and decide what we think you want, we want to hear it from you directly! Are there topics for guest speakers that you’d like us to find? Would you like to keep having “mixers” outside of the meetings? These are just a small few of the questions we’d like to ask you and have you help us with, but we are also wanting to hear any and all ideas you have for how we can get you the “best bang for your buck” when you are a SMWN Member! *Just a reminder that if you RSVP and can’t make it, we need a 24 hour notice of cancellation to avoid a lunch charge being billed to you.